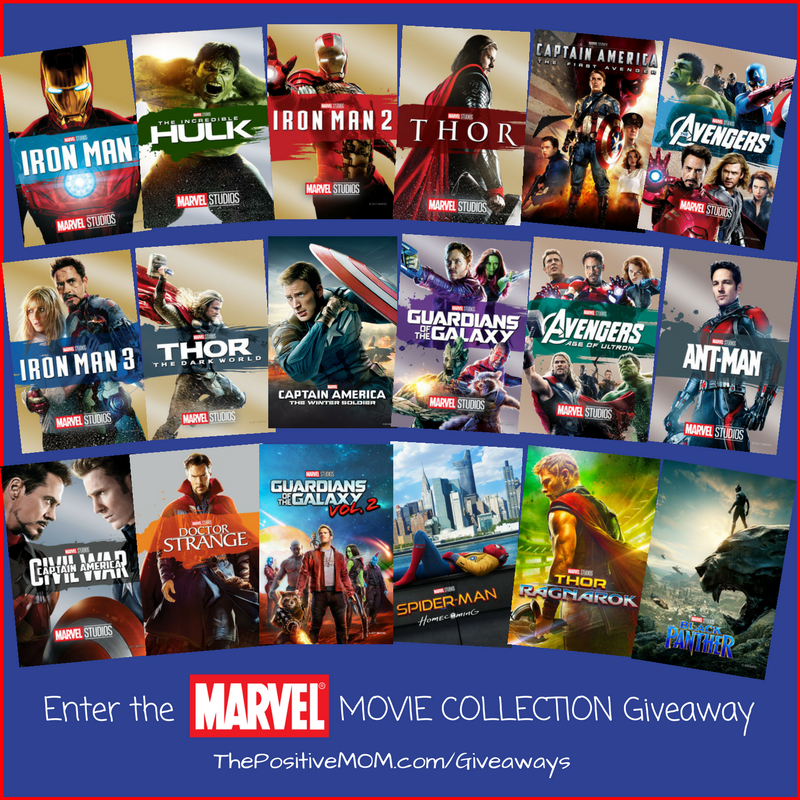 Enter to WIN the Ultimate Marvel Movie Collection! We have HUGE news! 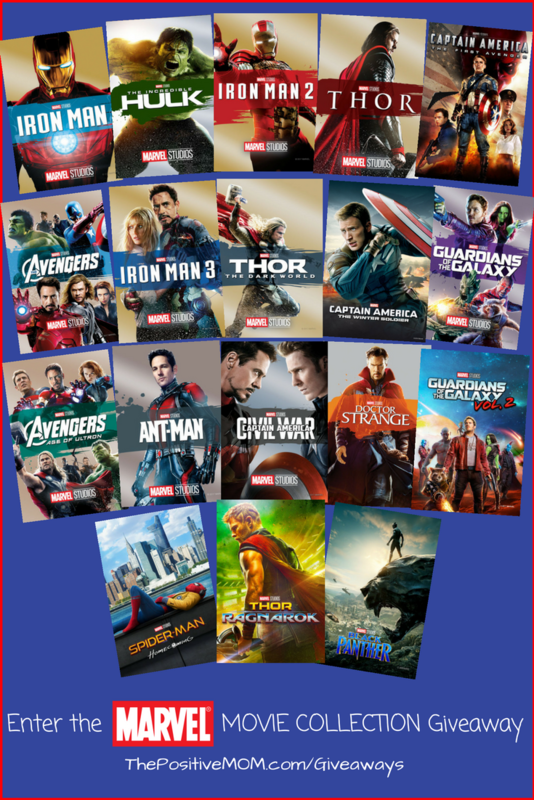 In honor of Marvel’s release of AVENGERS: INFINITY WAR on April 27, 2018, I’ve teamed up with some amazing Disney Bloggers for an intergalactic giveaway of the Marvel Cinematic Universe collection – one winner will WIN a digital copy of ALL 18 MCU MOVIES—a $295 value! Speaking of, who’s ready for AVENGERS: INFINITY WAR?! I totally am! With Karen Gillan (Nebula), Robert Downey Jr. (Tony Stark/Iron Man), Tom Holland (Peter Parker/Spider Man), Elizabeth Olsen (Wanda Maximoff/Scarlet Witch), Scarlett Johansson (Natasha Romanoff/Black Widow), Chris Evans (Steve Rogers/Captain America), Josh Brolin (Thanos), Chris Hemsworth (Thor), Sebastian Stan (Bucky Barnes/White Wolf), Zoe Saldana (Gamora), Linda Cardellini (Laura Barton), Pom Klementieff (Mantis), Tom Hiddleston (Loki), Benedict Cumberbatch (Doctor Stephen Strange), Idris Elba (Heimdall), Chris Pratt (Peter Quill, Star-Lord), Paul Rudd (Scott Lang, Ant-Man), Chadwick Boseman (T’Challa/Black Panther), Letitia Wright (Shuri), Dave Bautista (Drax), Vin Diesel (voice of Groot), Jeremy Renner (Clint Barton/Hawkeye), Danai Orira (Okoye), Benicio Del Toro (The Collector), Kerry Condon (Friday), Paul Bettany (Vision), Bradley Cooper (voice of Rocket), Gwyneth Paltrow (Pepper Potts), Jon Favreau (Happy Hogan), Mark Ruffalo (Bruce Banner/Hulk), Winston Duke (M’Baku), Angela Bassett (Ramonda), Benedict Wong (Wong), Sean Gunn (Rocket Raccoon), Don Cheadle (James Rhodes/War Machine), Anthony Mackie (Sam Wilson/Falcon), Jacob Batalon (Ned), Florence Kasumba (Ayo), Ethan Dizon (Tiny), Terry Notary (Teen Groot), and Tom Vaughan-Lawlor (Ebony Maw). ENTER NOW for your chance to win this SUPER collection of digital movie codes – available WORLDWIDE! * Giveaway runs til April 27, 2018 when AVENGERS: INFINITY WAR opens in theaters everywhere. 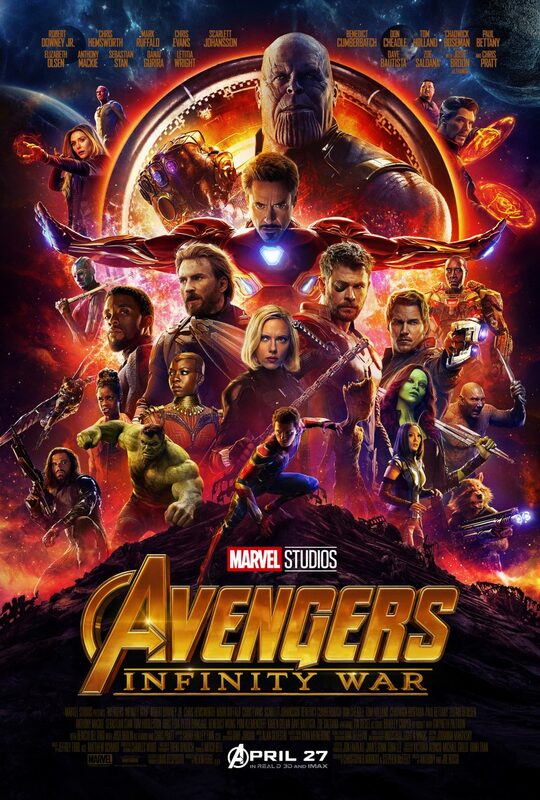 Stay up to date by visiting the official Marvel AVENGERS website and stay connected by following AVENGERS on Twitter, liking AVENGERS on Facebook, and following AVENGERS on Instagram. Be also sure to follow the hashtag #InfinityWar and #InfinityWarEvent. This entry was posted in Wholesome Living by WhollyArt. Bookmark the permalink. This is so exciting! AVENGERS: INFINITY WAR is going to extraordinary and full of surprises (and tears!) and we’re going to have so much fun going to see it on opening night! Great Marvel collection, I bet this would be everyone’s wish to win, but I just love how you made this giveaway! It’s amazing! This is so awesome! I’ve been such a huge Marvel fan for the past six years so to have all at once, I’d probably melt. Bucky Barnes is my favorite character in the MCU so I’m very curious to see his redemption in Infinity War! My family is so excited to see this movie! We can’t wait for it to come out! This is getting me excited for the movie! I really loved the other films and expect this one will be just as fun. Great giveaway! Who doesn’t want this collection? This is a fantastic giveaway! Our family cannot wait to see this movie. What a brilliant giveaway for Marvel fans! I am sure whoever wins this will get so much enjoyment from it. A lovely gesture. I didn’t know that there were so many Marvel movies. I think my nephews would love to have those posters. who doesn’t love super hero movies nowadays? Marvel movies a re great and so as giveaway! this is a really cool give away! My son wants to see this movie. I love marvel movies! I would be so excited if I won this. What a great giveaway 🙂 I don’t know anyone who doesn’t like a superhero movie!! I can’t wait to check out this movie as it has so many great stars in it. Most of my favorite characters are in it!